Finance Canada’s controversial proposals on the taxation of private corporations, which require comments on the changes by October 2, will potentially affect business people of all income levels, from all walks of life, who serve and employ Canadians in their hometowns across Canada. However, they will also affect families and, in particular, women. According to the background information accompanying the proposals, entrepreneurship is alive and well in Canada. The number of incorporated self-employed individuals almost doubled between 2000 and 2016. Canadian Controlled Private Corporations (CCPCs) now account for more than twice the share of taxable active business income (relative to GDP) than they did in the early 2000s. The tax data also shows that men own and control most of these corporations in Canada, reporting 74 per cent of the net capital gains from dispositions of qualified (private) small business corporation shares and receiving 66 per cent of non-eligible dividends received by the shareholders of CCPCs in 2014. Males also represent the 70 per cent of higher-income earners who initiate the income-splitting strategies targeted in the proposed tax reforms, distributing some of the dividends from the corporation to their spouse and children. That’s a good thing, as the fruits of labour from the business trickle down to the family. However, some perceive this strategy as being unfair, when compared to the taxation of income earned by a single salaried employee who can’t reduce tax with family income splitting, except in certain instances — pension income splitting being one of them. Finance Canada has proposed exceedingly complex rules to crush the income-splitting opportunity for CCPCs, but in the process has introduced new distortions to tax fairness; this time tipped against the middle income family that derives its household income from self-employment. On closer look, despite income sprinkling from their partner’s CCPC, women do not get equal amounts of dividend income. They receive less income from this source than men do. Neither do they get equal income distributions from trusts and partnerships. Given the lack of information Finance Canada has on the matter, it makes one wonder just how serious the tax leakage is from income splitting through the family business. Given the gender stats, these proposed reforms, in their current form, could significantly affect women, who may need to pick up the slack in the proposed reductions in family income. The changes may also affect the community. If integrated personal/corporate tax rates run into the 60-70 per cent range for some of those families, especially high-net-worth families, volunteer and philanthropic work done by stay-at-home spouses may be threatened; it’s possible the size of charitable donations could also be affected. The proposals promise to take gender inequities into account in the final design of tax rules for private corporations. This should raise eyebrows. How will this be done? What affect will this have on family economic decision-making? In assigning tax attributes to income sources, should one gender be favoured over another? Against the backdrop of such dramatic change, these tax reform proposals are an excellent opportunity to improve tax literacy and discuss tax fairness for families as a whole. Given that we don’t actually know the financial impact of the proposals on women and children, consulting well with all stakeholders and with sufficient time to review concerns, would seem to be worth it. Distinguished Advisor Conference: DAC addresses today’s key technical trends and business issues from an academic perspective. Its delegates and speakers reflect on the outcomes of change in private sector forecasting, domestic and international tax law and economic policy making, as well as the regulations that affect the work that professional advisors do. November CE Summits: Learn about the most recent advanced updates from CRA, Finance Canada and Statistics Canada, as well as strategies for applying new rules and interpretations to compliance and planning scenarios for clients using cutting-edge technology. 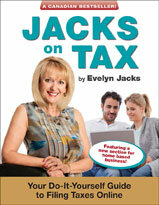 Evelyn Jacks, MFA, DFA-Tax Services Specialist, is President of Knowledge Bureau, a national educational institute, and the author of 52 books on personal tax preparation and planning and family wealth management.